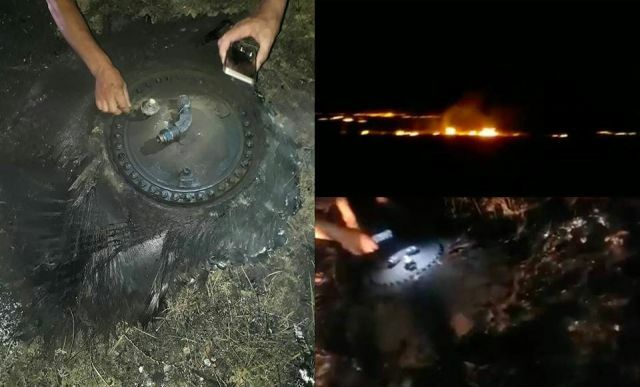 A UFO with pulsating lights crash landed and exploded near the village of Bostandyk in western Kazakhstan which is just 80 miles from the Russian city hosting England-Sweden World Cup quarter final clash with Sweden on July 7, 2018. 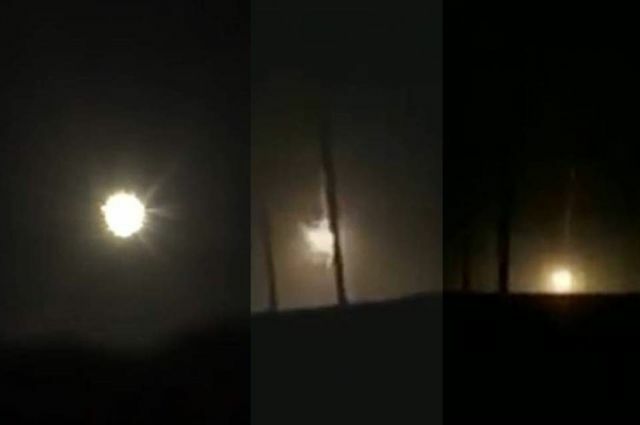 The UFO described as ball-shaped and 10ft in diameter “exploded” on landing – causing local houses to “tremble” and igniting a blaze on the parched steppe destroying bushes and grass covering 100 hectares. The silver colored UFO has a sealed hatch and the UFO material doesn’t look like metal, it is soft like fabric according to witnesses who tried to open the hatch without success. A second spherical object but smaller in size was found nearby reports TheMirror. Remarkable, immediately after the UFO crash all mobile communications in the remote area were cut off.